It's a funny thing. 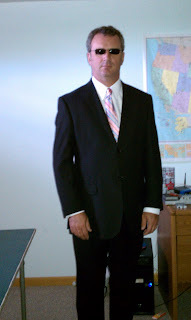 When I sent MUFON HQ this head shot for my Certified Field Investigator I.D. Badge, they said no go. 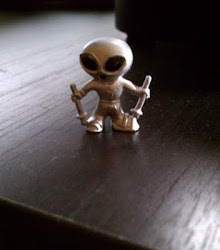 This photo does not identify me to MUFON's liking. They said that people who see the I.D. Badge need to see my eyes, to make sure I'm on the up-and-up. Ok, fine. I sent them a new, less mysterious head shot, and this time HQ approved it, so yay! 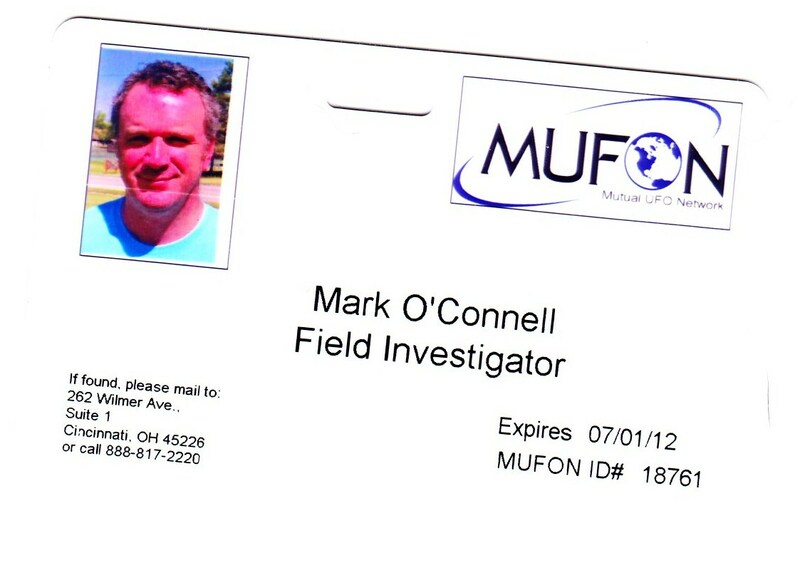 And, what do you know, I got my MUFON Certified Field Investigator I.D. Badge in the mail today, so double yay! 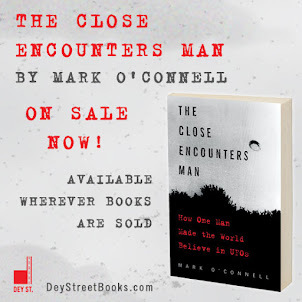 But even a casual observer will quickly realize that on the new I.D. Badge you still can't see my eyes! The joke's on you, MUFON: I don't have any eyes! The casual observer may also notice that there's an unearthly glow emanating from the center of my lofty forehead, and my skin is an odd shade of magenta. I can't account for this. I felt in tip-top shape when the photo was taken. On the plus side, it's a better picture than the one on my drivers' license. Here's another funny thing: when I proudly showed this I.D. Badge to my son Cxxxxx, his eyes went straight to the message in the lower left corner of the Badge: "If found, please mail to 262 Wilmer Ave..."
"That's great," he said, "They already think you're going to lose it." Yep, leave it to MUFON to give its newest recruit a shiv in the back. Well, I'll show them: I'll never lose it. Ever. This is just a quick reminder that your membership expires as July 1,2012"